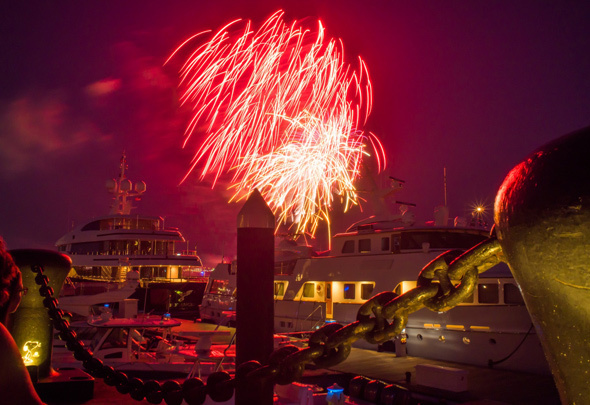 Adam Balsam took in tonight's fireworks over Boston Harbor from Commercial Wharf. Read more. Mitchell watched the end-of-summer fireworks over Boston Harbor tonight. 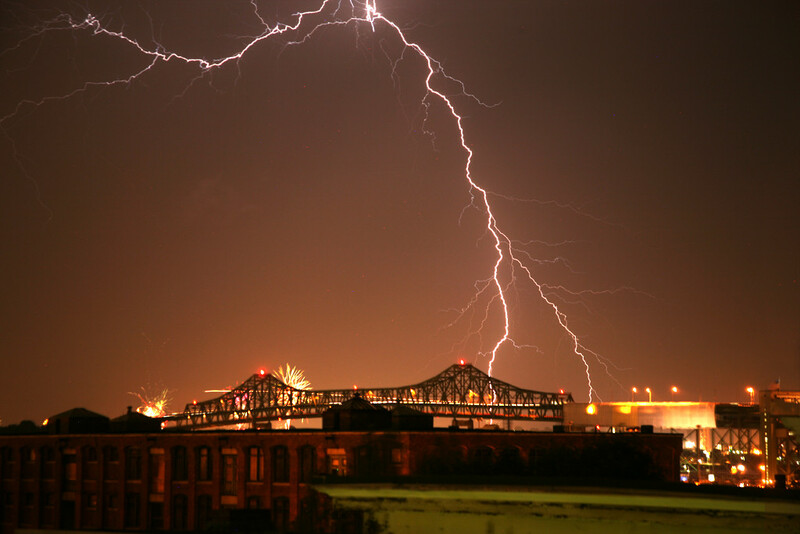 Matt Conti provides the entire show, in a time-lapsed three minutes: Read more. Boston Harbor fireworks start at 8:15 p.m..
Cheyenne was among the many people who watched the fireworks over Boston Harbor tonight - and who wondered what the reason was. Joe Phalen reports they were set off from a barge off 50 Liberty in the Seaport. Spencer Buell reports he called Boston and State Police and the city (don't worry - he's a reporter; knows not to call 911) and that nobody had an answer. UPDATE: BFD spokesman Steve MacDonald reports the privately financed show was put on by Atlas Pyro of Jaffrey, NH for an events-production company called Fresh Wata in Las Vegas, NV. 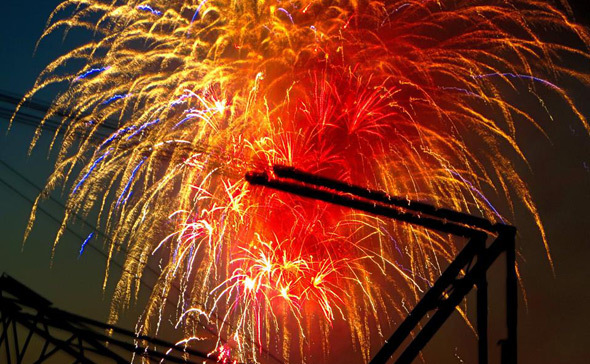 Eileen Murphy watched the fireworks over the harbor tonight. Catboston watched them as well: Read more. National Park Service Ranger Giles Parker alerts us to fireworks between 9 and 10 p.m. over Georges Island. 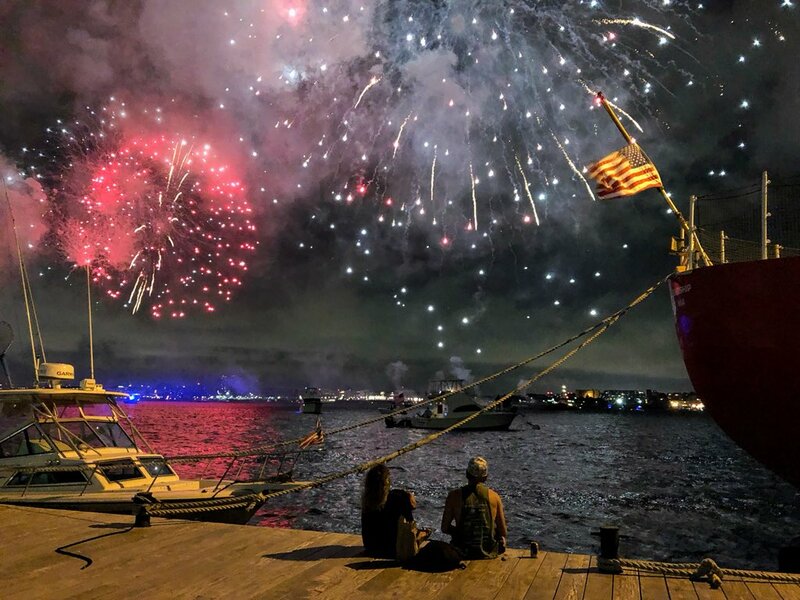 David Parsons watched the fireworks over Boston Harbor last night. More photos of the fireworks. Karen Zgoda watched the city's fireworks over the harbor tonight. From Roslindale to Audubon Circle to Mattapan, plenty of people heard tonight's Wonderful Wellesley Weekend fireworks. Police from E-5 were kept busy tonight trying to find out who was setting off fireworks in Roslindale. Residents reported hearing the booms from Fallon Field to Allendale Woods around 11:30 p.m.; police spent some time in the area of Centre and Hewlett streets. Italian in Boston watched the New Year's fireworks over Boston Harbor. Myron Freeman watched the fireworks in the rain last night. NorthEndWaterfront.com reports somebody's gotten permission to shoot off fireworks over the Charles by the Museum of Science for about 10 minutes tonight, starting around 9:30 p.m.
Myron Freeman watched the Esplanade fireworks.